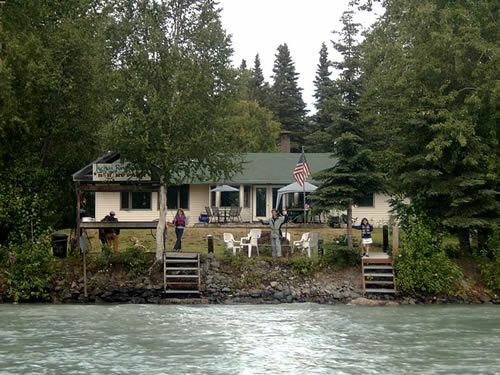 Stay on the Kenai River in our Riverfront Suite and enjoy deluxe riverfront accommodations, with a stunning view of the Kenai River, as well as unsurpassed shore fishing! Showcasing authentic Alaska in decor and ambience, you'll relax in privacy and comfort in our suite featuring two premium queen beds, private bathroom, sauna, and all the comforts of home -- full-size refrigerator/freezer, microwave oven, coffee maker, toaster, toaster oven, dining dishes and dining table, private deck with canopy, gas grill and torch heaters. With a completely private, keyless code entrance, our Kenai Riverfront Suite gives you the freedom to come and go with security and privacy as you like during your stay. Relax on our spacious deck outdoors with dining table, gas grill, and torch heaters -- or lounge by the riverside campfire during your stay, as you watch eagles soaring the sky, moose swimming the river, and salmon jumping right in front of the resort! Our Kenai Riverfront Suite books early each summer, so click Reservation Request to start planning your visit to the Kenai River today! Relax after a day on the river in our authentic Finnleo® custom Sauna, designed with Finnish styling and amenities, including nordic white spruce, abachi benches, and the ambience of Scandanavia. 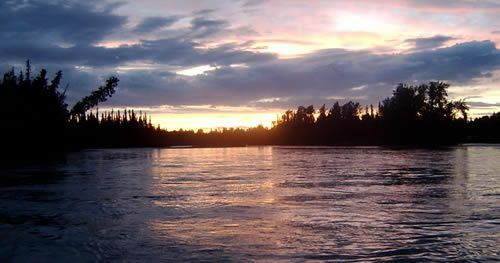 You'll enjoy a spectacular view of the Kenai River while relaxing in our Kenai Riverfront Suite-- cozy and warmly Alaskan with moose antlers and Alaskan art featuring world famous wildlife and nature photographers Kennan and Karen Ward. 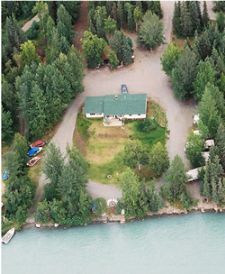 Soldotna is close by with ample dining choices and shopping, all within 5 minutes of Kenai Riverfront Resort's convenient location on the river! 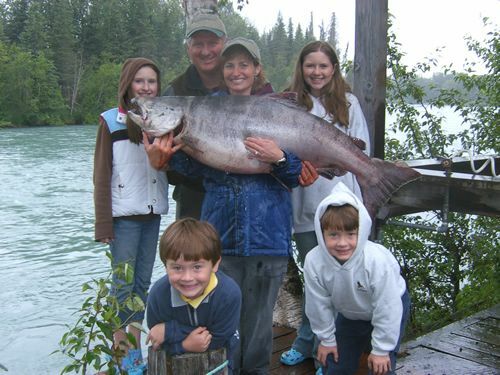 Open year-round, our Kenai Riverfront Suite rates range from $99.00~$175.00 per person per night, based on double occupancy, depending on the time of year, and KIDS ALWAYS STAY FREE! Book early for the best summer dates!